Information about FDA requirements for labeling eggs, egg information plus watch our Featured Video: Dietitian Christy Brissette On Marketplace Egg Investigation. The FDA (Food and Drug Administration) says all shell eggs that have not been properly processed to destroy live Salmonellae before distributing to consumers must include safe handling instructions on the egg cartons in an effort to reduce the risk of illness and death that can be caused by Salmonella Enteritidis (SE) caused when people eat shell eggs that have not been treated to destroy Salmonella. "The Food and Drug Administration (FDA) published a final rule in the Federal Register of December 5, 2000 (65 FR 76092) entitled, "Food Labeling, Safe Handling Statements, Labeling of Shell Eggs; Refrigeration of Shell Eggs Held for Retail Distribution." ​SAFE HANDLING INSTRUCTIONS: To prevent illness from bacteria: keep eggs refrigerated, cook eggs until yolks are firm, and cook foods containing eggs thoroughly.The regulation also requires retail establishments to refrigerate shell eggs promptly when they are received and to store the eggs at 45° F (7.2° C) or cooler. 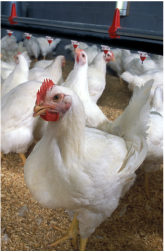 FDA is requiring these actions to reduce the risk of illness and death caused by Salmonella Enteritidis (SE), a pathogenic bacterium, which is associated with the consumption of shell eggs that have not been treated to destroy Salmonella" (Guidance for Industry. July 2001). To prevent illness from bacteria: keep eggs refrigerated, cook eggs until yolks are firm, and cook foods containing eggs thoroughly. Great information on eggs-everything from hatching, candling, safe handling, salmonella, egg cartons, and more!